Grand Theft Horse: A Graphic Novel by G. Neri, illustrated by Corban Wilkin. Tu Books, 2018. 9781620148556. 230pp including photos of and an afterward by Gail Ruffu. 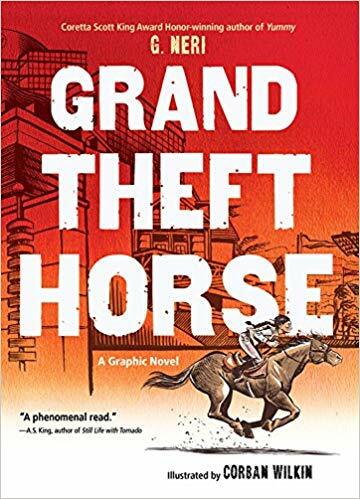 Neri (Yummy: The Last Days of a Southside Shorty) recounts the story of his cousin Gail Ruffu, who told him the story of how and why she stole a thoroughbred on Christmas Eve in 2004. She was trainer and part owner of Urgent Envoy, and hoped to use his love of running to turn him into a champion racehorse. When the other investors urged her to start racing him earlier than she wanted, Urgent Envoy was injured and needed time to recuperate. 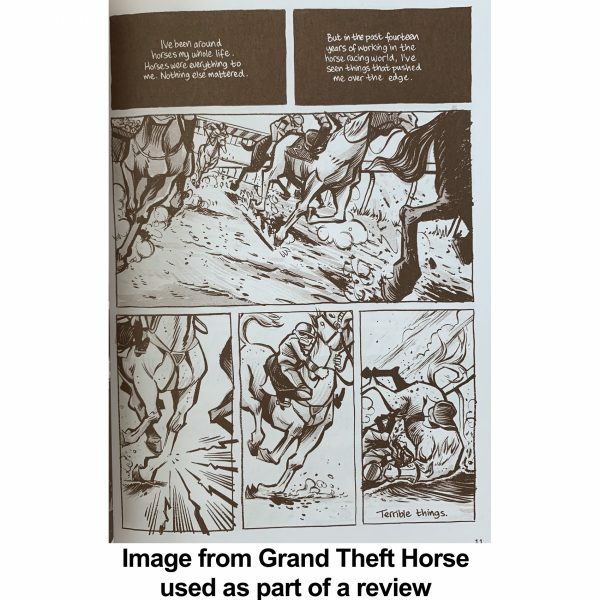 No one but Ruffu had the horse’s best interests at heart — they were willing to re-injure and drug him to try to make back their investment quickly. So she took UE, hid him, and ended up in a bunch of trouble, legal and otherwise. (I’ve never been to the track, and now I’m never going.) 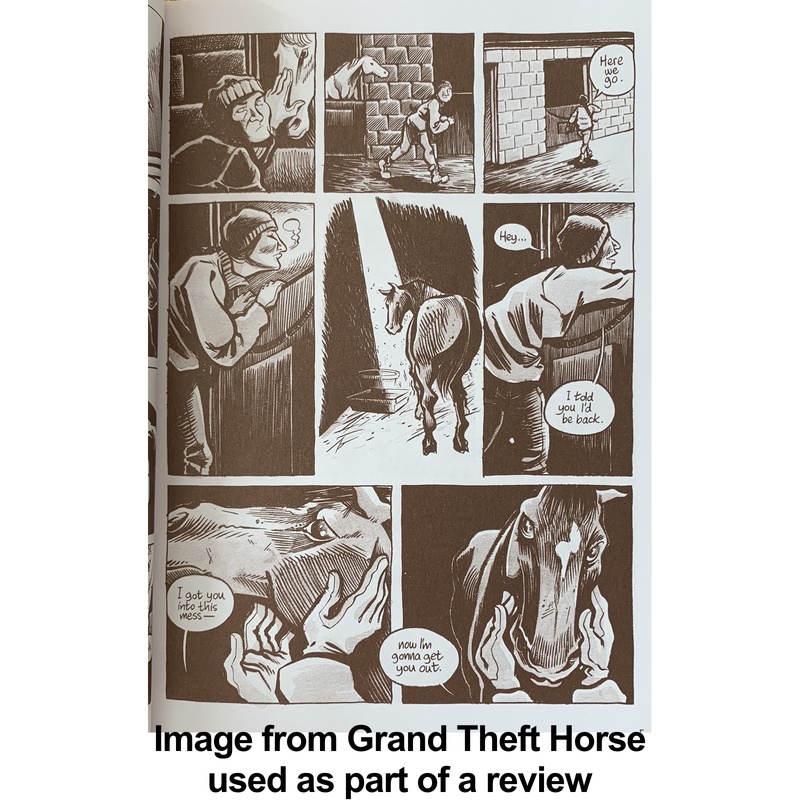 Also included: flashbacks to Ruffu’s childhood that show her lifelong fascination with and dedication to learning about horses. Horses terrify me, but my dad loved them, and I have a few friends who do, too. This book took me as close as I’ve ever come to feeling that love. And the brown ink throughout reminded me of the smell of the barn, which I’ve never gotten used to.